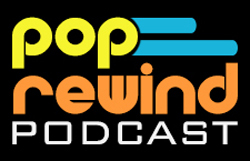 Pop Rewind — Why? COPE. That’s why. This week’s topic for the League of Extraordinary Bloggers simply asks, “Why?” When discussing via email how we should interpret that, Lee responded with COPE. Why? Because that’s the biggest WHY in existence. Really? You don’t know what we’re talking about? In the first Sonic game for Sega Genesis, during the Spring Yard Zone levels, a few random words are placed in the background. Examples are CPU (computer) and UP (as in, not down). The most memorable one, though? COPE. COPE has been plaguing young minds since 1991, and perhaps we can get a life lesson out of it. Maybe Sonic is telling us that life isn’t so bad, just COPE with the hand you’re dealt and it’ll all work itself out. Maybe more of us would have this positive attitude about life if COPE weren’t so darn puzzling. More realistically, it’s likely a message from a Time Lord sent from the future—as in, you’d better learn to COPE with the fact that Sonic 1, 2, and 3 are the only playable Sonic games in the franchise and that Sonic X-treme ain’t gonna happen. Hope you can also COPE with Sonic 3D Blast! Why didn’t COPE appear in other games? One might imagine how much better Sonic Adventure or Sonic Advance 3 would have been with such a back-handed message of inspiration. 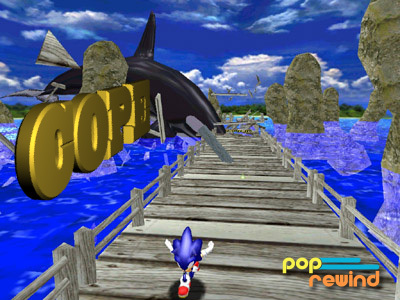 Sonic copes with the Free Willy franchise? In all seriousness, the mystery began more than two decades ago and has yet to be solved. Maybe the true meaning of COPE is that we all need to COPE with never knowing the true reason. And that’s the hardest life lesson of all. COPE. What did the rest of the League think? Calvin’s Canadian Cave of Cool has a pic post of Selena Gomez, so that happened. 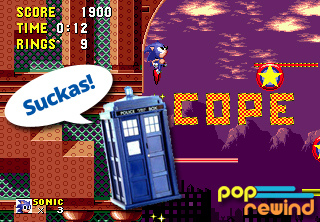 Sonic needs to keep it copacetic! Around Christmas I bought this little gameboy thing for 30 bucks at Walgreens and it was filled classic sega games. I totally forgot about cope until I started playing again. (also forgot the awesomeness of casino zone). Anyway now I need to know the deal.